How to open a wine bottle ? There are many different types of wine openers and the most popular is the “waiter’s friend”. Most of us instantly get the logic of inserting a corkscrew into a cork and using a lever arm to hoist the cork out, however it’s the little details that bewilder us. – Cutting the foil: top or bottom lip? Wine sommeliers cut the foil at the bottom lip: this is the tradition because foils were previously made out of lead. Also, this method tends to reduce stray drips when pouring at the table. Foil cutters, on the other hand, are designed to cut the top of the lip. Cutting the top lip is more visually appealing and ideal for wine tasting. – Where to poke the cork? Poke the cork slightly off center. You want the radial diameter of the worm (the curlycue part of a wine opener) to be centered so that it’s less likely to tear the cork. – It takes about seven turns to insert the worm into the best spot, although wine openers vary. 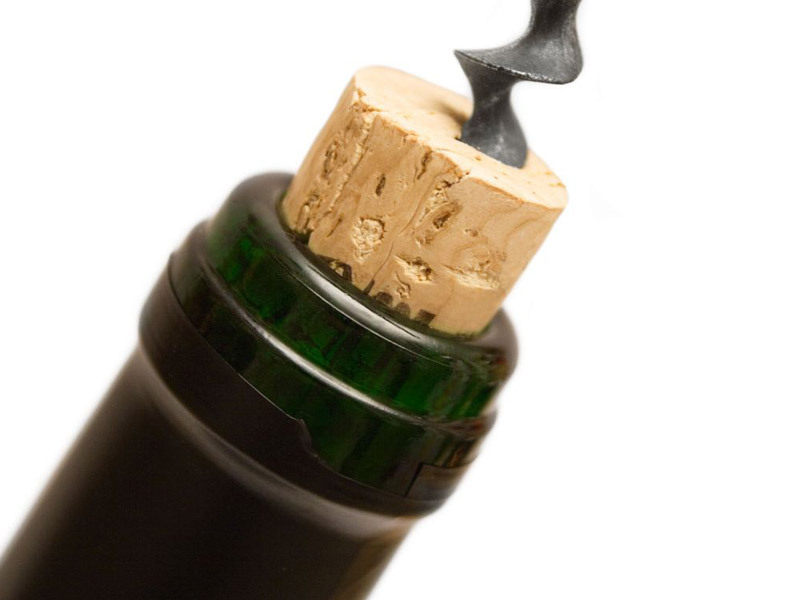 Basically, the corkscrew should be inserted into the cork about one turn less than all the way in. Some fine wines have long corks and you can go all the way in.